Microfluidics and small point-of-care systems are set to revolutionise the future of health. They appear in prevention, diagnostics and monitoring processes. CASLEO is dedicated to develop new systems that would positively impact and improve people’s health and well-being. Ref: Proc. Natl. Acad. Sci. 111, 3304-3309 (2014). 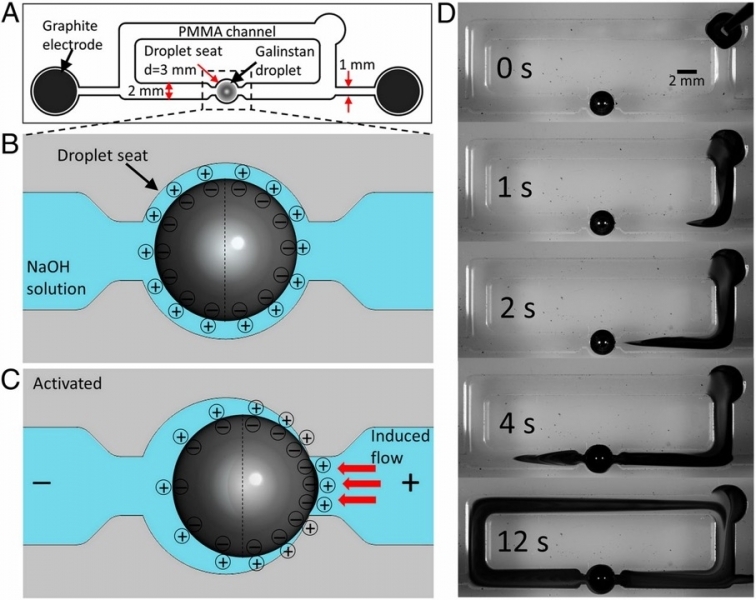 Liquid metal is used as the base for creating microfluidic pumps without any moving parts.